Lee Bailey was a great cookbook author and host. He often served baking powder biscuits with dinner but I also love them for breakfast with scrambled eggs. 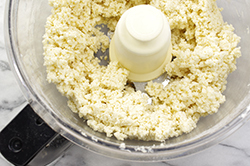 This is a twist on Lee’s original recipe; I’ve added flaked sea salt and coarsely ground black pepper. 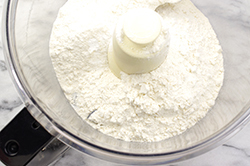 Place the flour, baking powder, and salt in the bowl of a food processor fitted with the steel blade and pulse to combine. Add the butter, breaking up the pieces as you put them in. 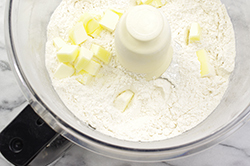 Pulse the mixer about 10 times, until the butter is the size of large peas. With the mixer running, pour the half-and-half down the feed tube and pulse just until the mixture starts to come together. 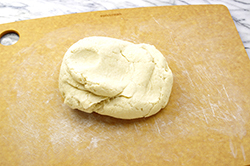 Dump the dough out onto a floured board and quickly knead it into a ball. 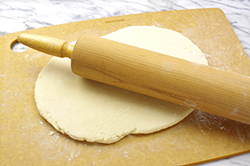 Roll the dough out 1/2-inch thick with a floured rolling pin. (You should see bits of butter in the dough.) 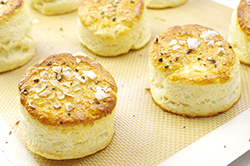 Cut out biscuits with a 2-1/2-inch plain round biscuit cutter and place them on the sheet pan. 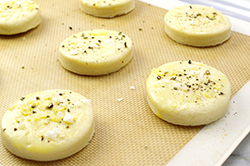 Brush the tops of the biscuits with the egg wash and sprinkle with the sea salt and pepper. 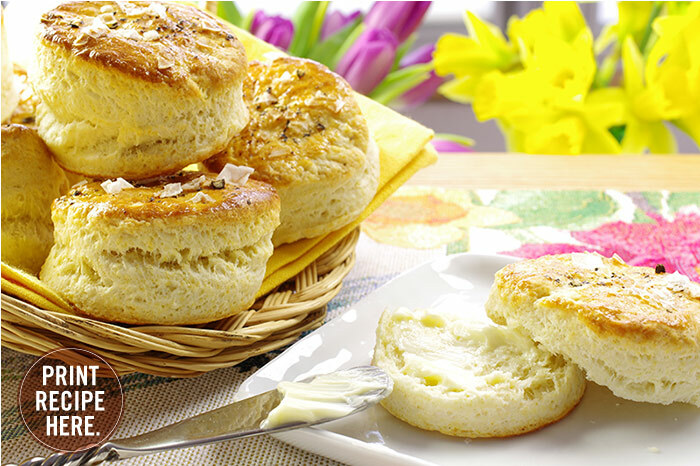 Bake for 10 to 15 minutes, until browned and the biscuits are baked through. Allow to cool for 5 minutes and serve warm or at room temperature. 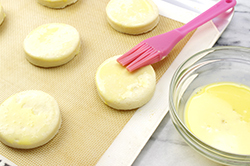 MAKE IT AHEAD: Roll the dough out, cut the biscuits, and refrigerate overnight. 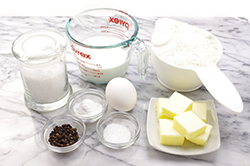 Brush with egg wash, sprinkle with salt and pepper, and bake before serving.